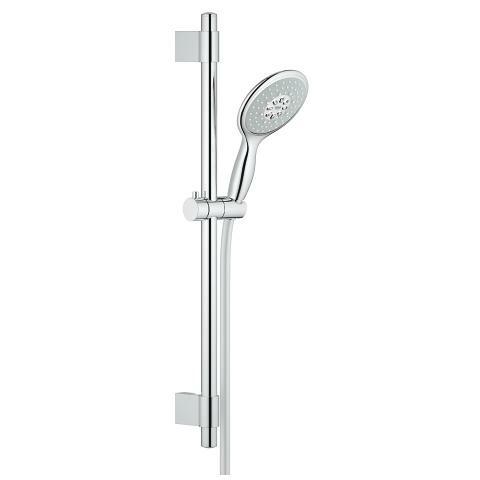 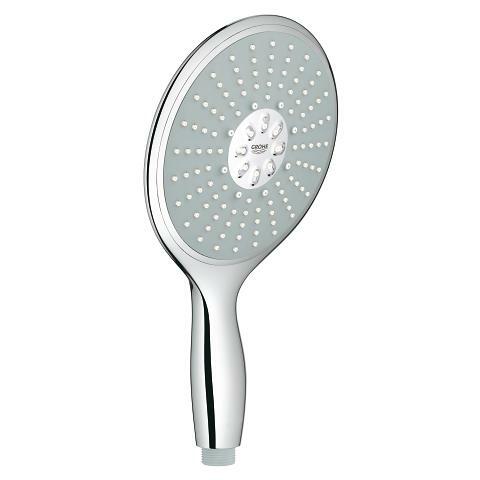 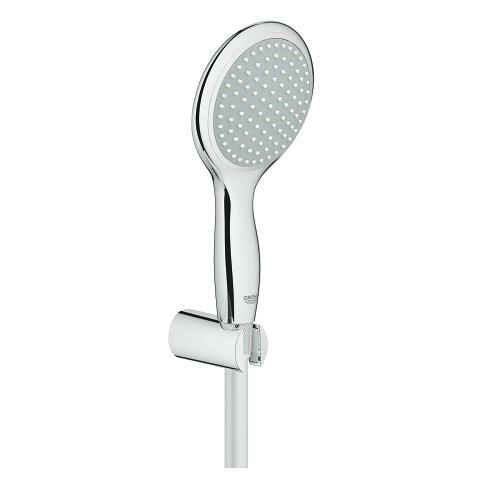 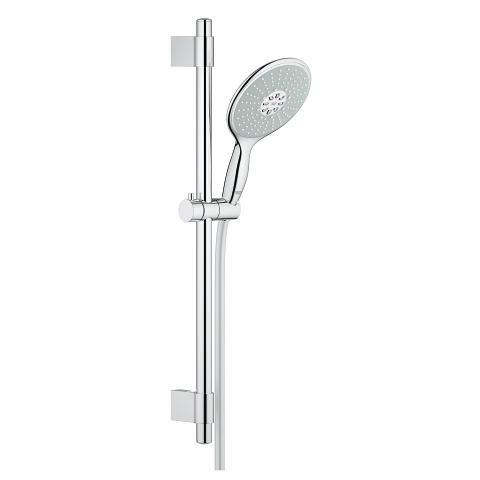 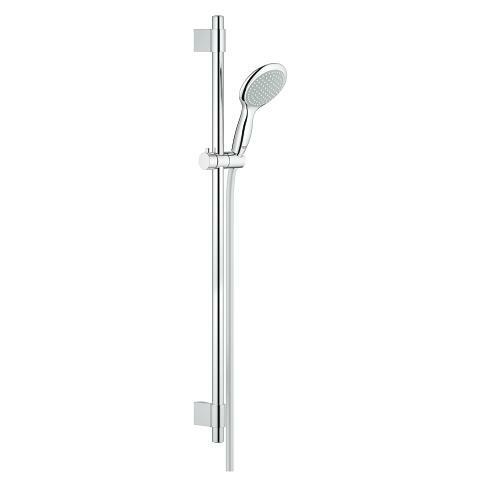 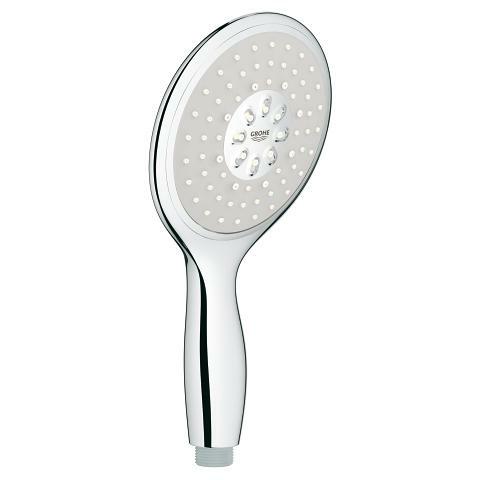 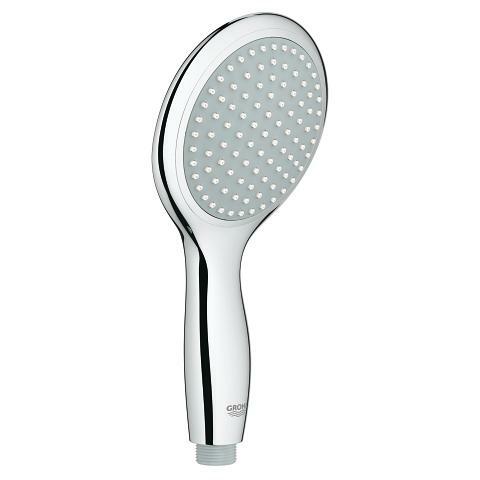 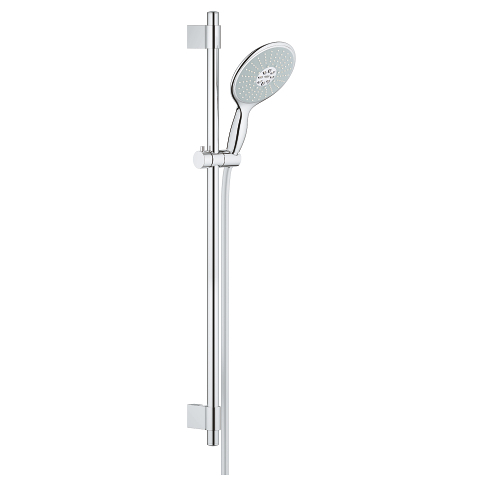 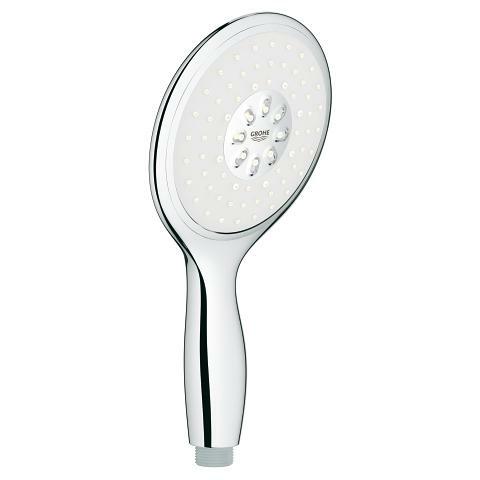 Upgrade your bathroom with this premium GROHE hand shower of the Power&Soul range, complete with a 900 mm shower rail and metal wall-mounting brackets. 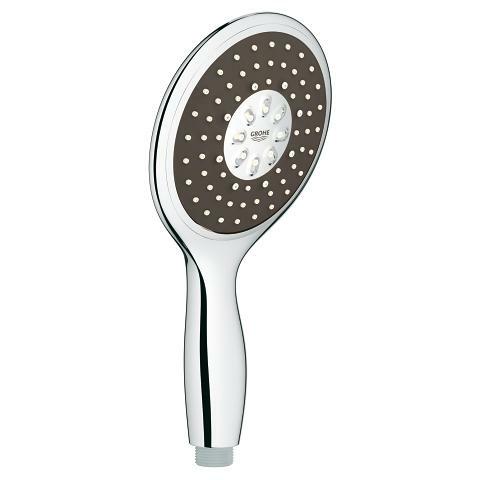 For your comfort and convenience, it offers two spray patterns – GROHE Rain O² and Rain – for you to select using our innovative one-click spray selector. 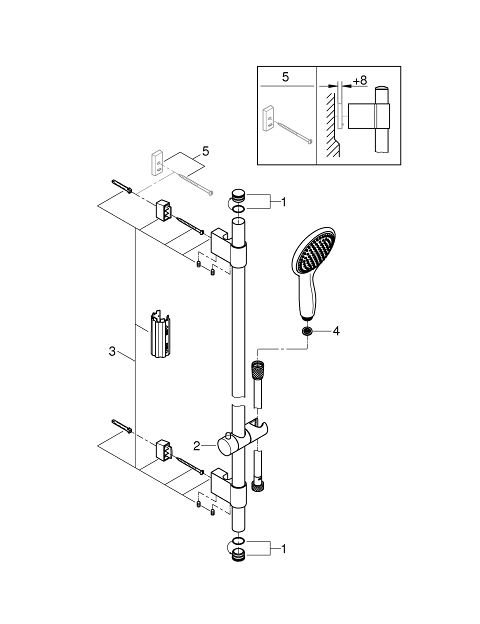 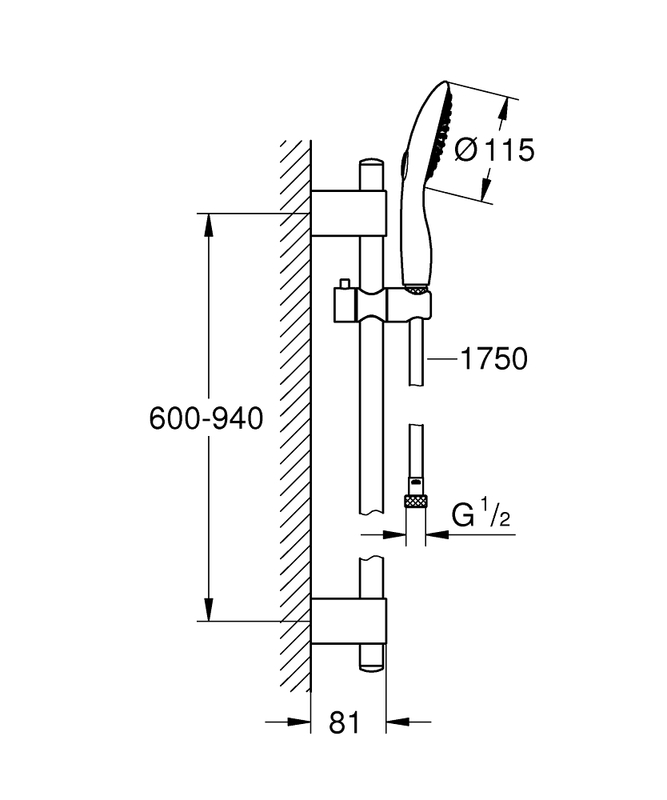 For an easy and hassle-free installation of the rail set, the distance between the wall-mounting brackets of the shower rail can be adjusted to use existing drill holes or position them in the joints between tiles, reducing installation time without risking damage to your tiles. 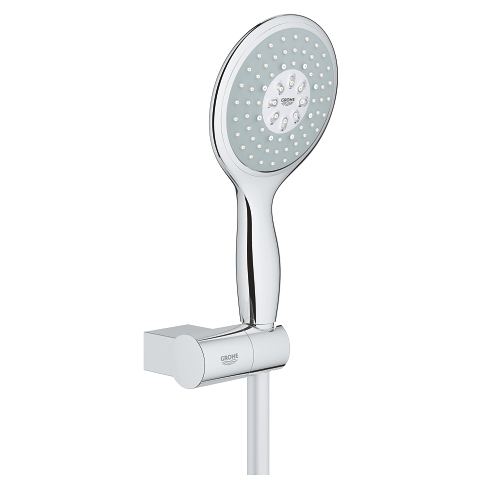 The TwistFree hose is another convenient plus, ensuring that you'll never have to struggle with a twisted shower hose. 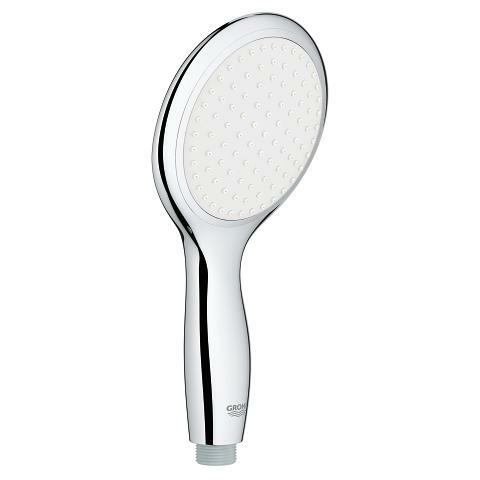 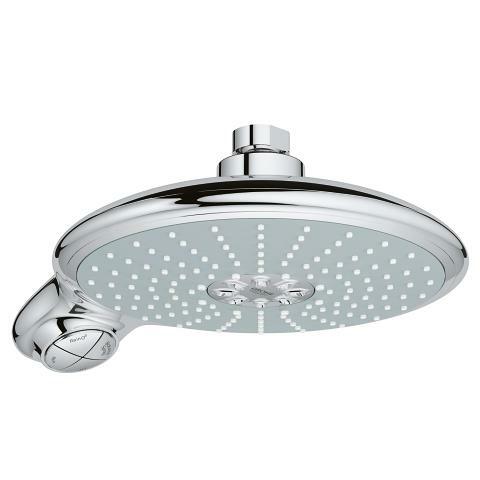 Power&Soul – for luxurious showering.